The Little Fennec Flannel Cuddle Blanket is velvety soft, a must-have comfort in cool weather! This fluffy flannel is ideal for swaddling newborns, toddler nap time, stroller rides, and as a convenient nursing cover. Made with 100% luxurious cotton, the Cuddle Blanket is naturally hypoallergenic. The coziness is created with a brushing technique that leaves the fabric thicker and softer. Perfect for sensitive skin, Little Fennec uses hypoallergenic materials--free of harsh dyes and fluorescent agents that can irritate skin. Every beautiful pattern is unique to Little Fennec and created with materials and techniques to withstand the test of time! This blanket is so soft and cozy. Perfect for the spring and fall. I absolutely adore this blanket! Not only is it super soft & adorable, but the blanket is large enough to cuddle up with my little one too! 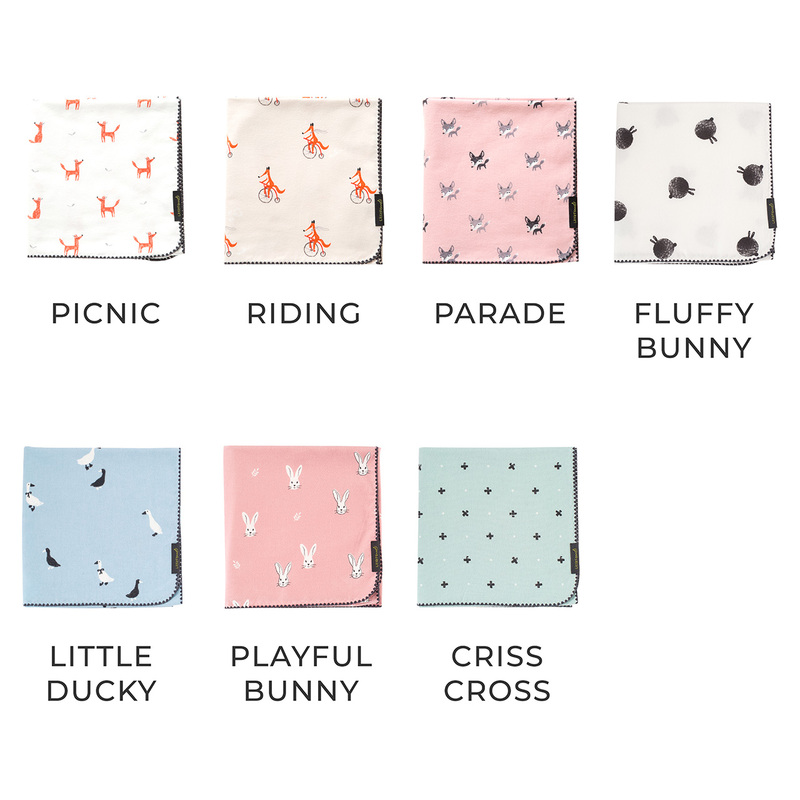 I also purchased the matching stroller insert & am just as obsessed with that as well!! I seriously cannot wait till we can order these! Just like all the other products they offer high quality and super affordable prices, makes being a momma of two so much more fun!